Choose a meat & 2 vegetables from the list below. 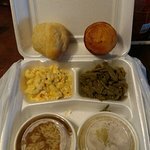 Your meal will include our famous yeast rolls & cornbread along w/ iced tea or coffee. Best Buy! Choose 4 vegetables from the list below. 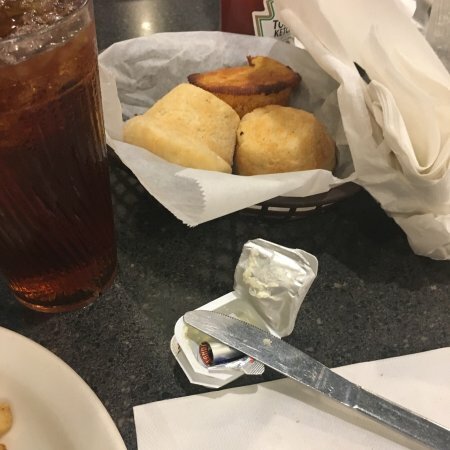 Your meal will include our famous homemade yeast rolls & cornbread along w/ iced tea or coffee. A tender Baked Chicken fillet served over the BEST dressing in town! 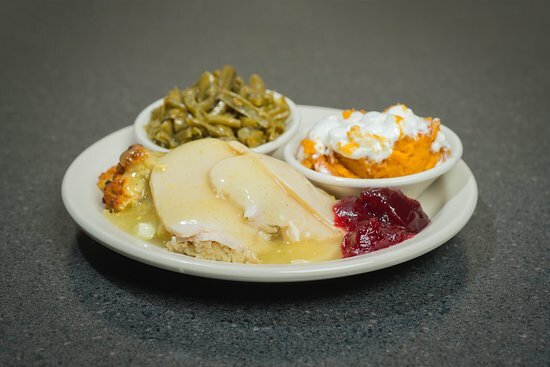 Our Meat Loaf is made from scratch & it is it's delicious. It was one of Pop Wade's favorites! See our toppings below for some extra flavor! Be sure to ask your server about today's "Daily Feature Dessert". 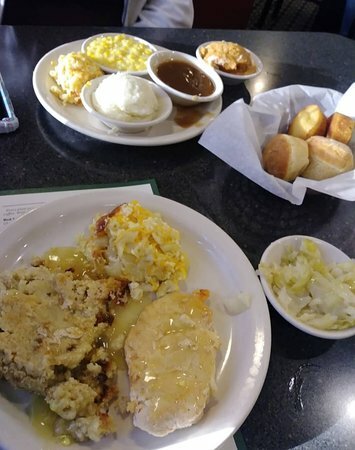 It might be a delicious Homemade Cobbler or a tasty dish of Homemade Banana Pudding! A delicious frozen homemade treat made w/ peanut butter, cool whip & cream cheese. 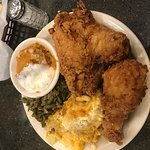 A traditional Southern favorite that is baked right here at Wade's each morning. This is Wade III's favorite. A little whipped topping sets off this cool & tangy dessert. 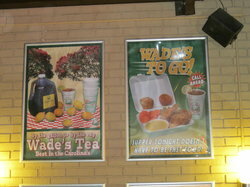 For most people, Wades is all about southern cooked meats & vegetables. 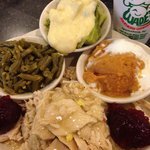 However, Wades has a great selection of chef salads that you're sure to enjoy! Salads, Sandwiches, & French Fries are only available Monday thru Saturday. Served w/ cornbread or crackers. 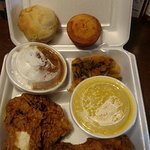 Its got a decent selection of typical southern comfort foods (fried chicken, hamburger steak, collard greens, ect...) and good yeast rolls and cornbread. Overall, the food is good but lacks the "wow" factor to justify their prices. They always have a multitude of selections of meat, vegetables and desserts! Their menu changes daily!! The best home cooking! 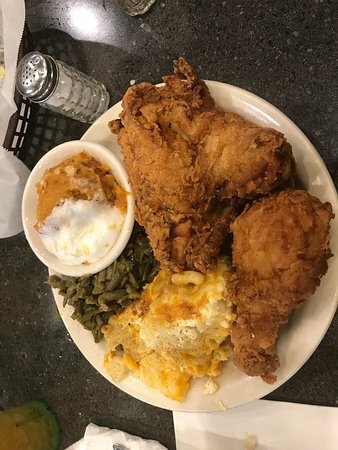 The fried chicken, mac and cheese, green beans, and the sweet potatoes are the best. They have an express buffet line or can order off menu. Great for take out. Always try the banana pudding or strawberry shortcake. 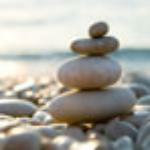 Well known and well established local " meat and three" . 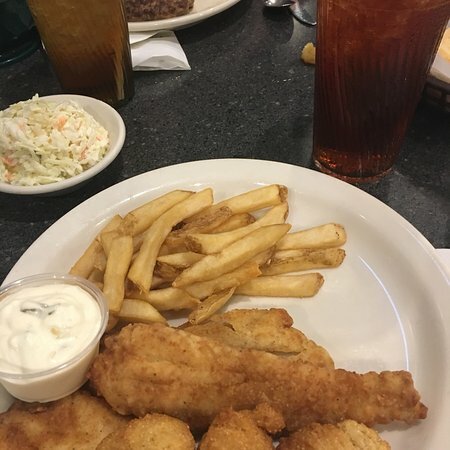 The food is good and service was excellent. Nothing fancy, but I don't think you will be disappointed if you are looking for an alternative to fast food for a quick lunch. 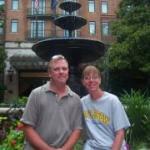 Get quick answers from Wade's Restaurant staff and past visitors. Do you have Stew Beef available in your frozen food section? How much?? It usually is the week before the holiday.